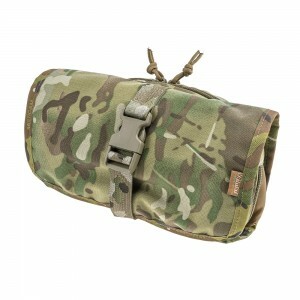 Every year, army travel toiletry bags in Ukraine are becoming more and more popular. With this handy organizer bag you can compactly store toiletries and many other small essentials. Usually, the toilet bag is used to place soap and toothpaste, shaving accessories, wet wipes, etc. Thanks to Ukrainian military and tourists good grace it began to transport and store a wide variety of useful "little things" - flashlights and flash drives, spoons, folded T-shirts and socks. Often, a military or tourist travel bag is used to store brushes for clothing and spare sewing accessories (buttons, fasteners, threads), medicines and dressings, brushes and creams for shoes and other things. 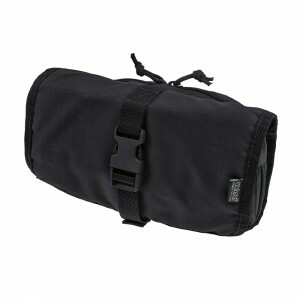 Unlike overall backpacks, men's travel organizer bag has a small size and minimal weight. This allows you to have everything you need at hand when a person is far from home in the field. Inside the military travel bag has several compartments of different types and sizes, so that the items do not mix and are kept in order. This allows you to find quickly the necessary thing. The internal space is organized in the most functional and thoughtful way: open and welt pockets with fasteners, a mirror in a textile frame, and patch pockets with comfortable sliders. On top there is a plastic ring for hanging the bag. Folded mens toiletry hanging travel military bag organizer is fixed with a compression nylon braid and fastex-lock. Products are made of innovative material Cordura and have a special protective coating against dirt, water, aggressive chemicals. High-quality Italian and Polish accessories (2M, Alpha Technology) are distinguished by reliability and functionality. At the request of the buyer, you can choose a model in colors "Military", and in the traditional gamma as well. 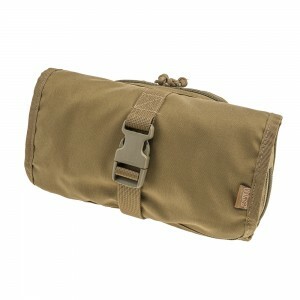 In our catalog, everyone can select quickly and buy profitably an army travel bag. VELMET online store offers military equipment and related products at the best prices, because it works without mediators. This will not only guarantee a successful purchase, but also a guarantee of brand authenticity. A practical and stylish toiletry bag is a great gift for a man which will help facilitate his stay in extreme conditions and make them as comfortable as possible.